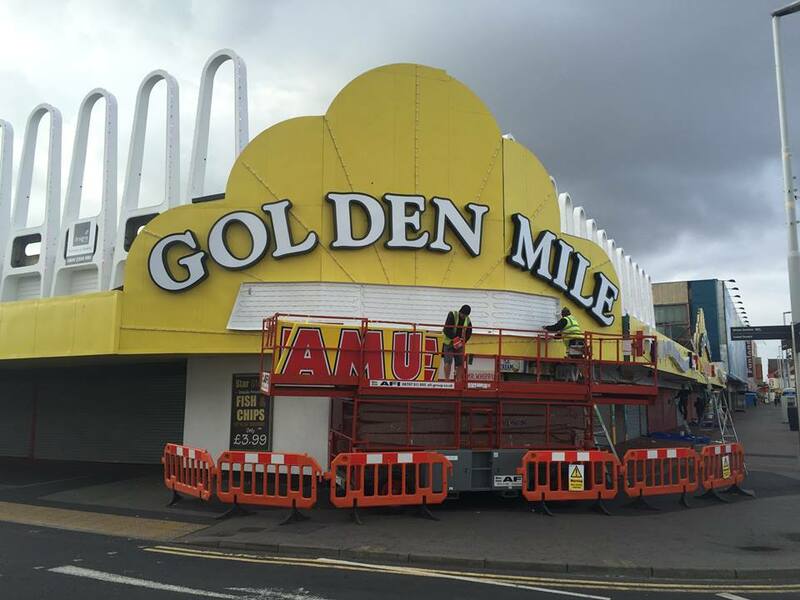 The crowds are already flocking to the Golden Mile Centre and the signage isn’t even finished yet! Work continues on installation of new signage to this Blackpool landmark building. 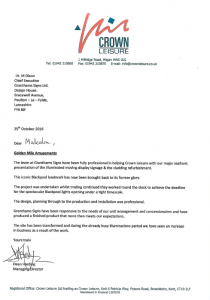 The project is due for completion in time for the switch on of the world famous Blackpool Illuminations 2016. The work has now been completed in time for the World famous Blackpool Illumination switch on!